Superheroes in the comics have an advantage – they were born on another planet, wear special armor or got a radioactive insect bite. Military kids face the extra challenges of military life, but without the superpowers. They meet obstacles head-on, and keep moving forward. They jump from post to post, write to deployed parents, comfort hurting friends – and find time for homework and activities, too. Whatever the task, "Military Kids Can!" 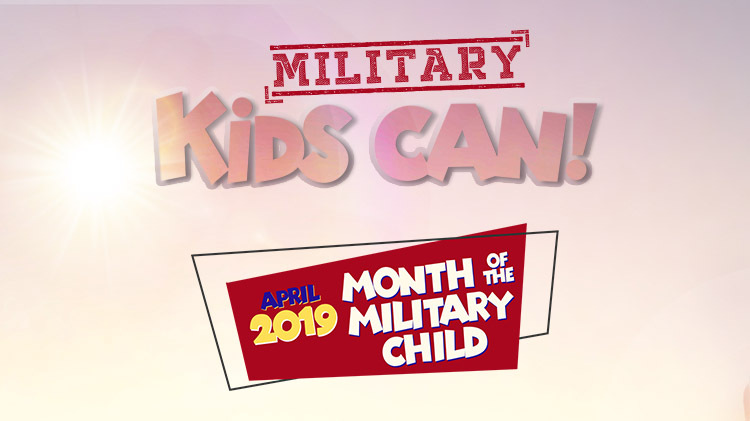 Celebrate through April, during the Month of the Military Child (MOMC). Visit MOMC online to enter the Young Lives, BIG Stories Contest and see last year's winners! view the month-long calendar that highlights events happening in each CYS facility. Wear purple on Wednesday, April 10, in support of Military Children. Purple is a combination of all branches colors mixed together! Join CYS in celebrating Military Kids and enjoy a fun day of games and prizes. Kidfest will be held at the School Age Center, 9500 Barlow Road, Bldg. 950. Teenfest will be held at the Youth Center, 5850 Langfitt Loop, Bldg. 1003. Shuttle buses will run from 10 a.m. - 2 p.m. from Specker Field House Parking Lot and Wallace Theater Parking lots to SAC and YC every 15 minutes. This event is open to the Belvoir community and children do not need to be registered with CYS to attend.